Fort Worth 24 Hour Towing Services at Affordable Prices! Fort Worth Towing and their network of licensed affiliates experts are well known for providing high-quality reliable towing services at affordable rates across DFW. Our tow truck drivers can tow your vehicle from anywhere within Dallas and can arrive at your location a fast response time of your call. We offer fast and reliable local towing and long distance towing as well. You may be looking to tow vehicles for junkyard removal. 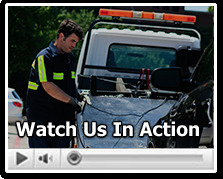 You may require a flatbed tow truck to tow your vehicle to a mechanic or car dealership. Technicians and drivers are standing by to help. Call us at (817) 886-8332. We and our network of independently owned and licensed affiliates operate 24 hours a day, 7 days a week, 365 days a year so as to ensure we are always able to provide help. Our drivers are some of the most knowledgeable and skilled technicians in the towing industry. They are technologically up to date with the latest auto towing and car lockouts industry news. Our flatbed tow trucks and tow dolly are well maintained to ensure a high standard of service. Our technicians carry the most sophisticated machinery and computers to deliver expedited and accurate solutions. Unlike other tow companies, FW Towing is willing to go the distance and at competitive rates. Long distance towing is one of the many towing services we and our licensed affiliates offer. Light duty towing is easily accomplished with our flatbed tow. Dead battery? Out of gas? Car won’t start? Roadside service includes a tire fix, jump start, recharge battery, and even car replacement battery. For a full list of our services (including roadside assistance and car lockout offerings), visit our “Towing Services” page. Call Fort Worth Towing for reliable auto towing and roadside assistance. Our technicians are available throughout Dallas so they can arrive at your location within a fast time of your call. When it comes to towing and recovery servicing and long distance towing, FW Towing understands the importance of quality towing and customer care. Keep our number as you never know when you may be in need of our services (817) 886-8332.